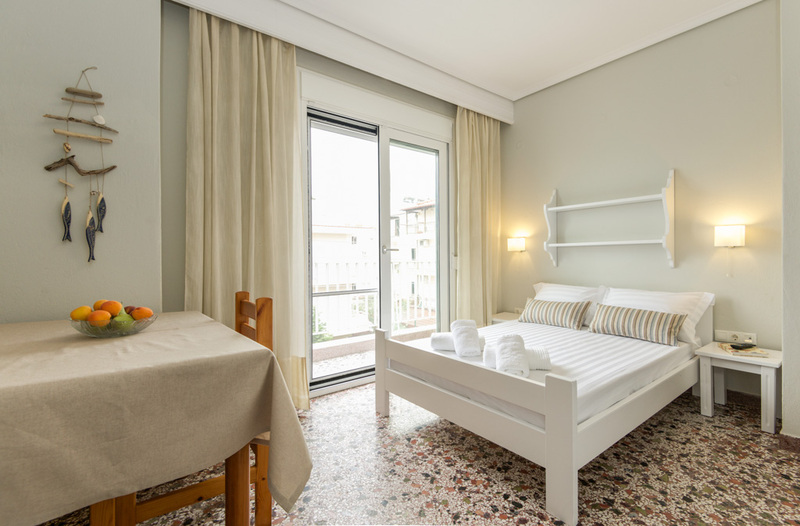 Triple Studio is a spacious room for three adults or a couple with one child. It is equipped with a double bed and an extra single bed. 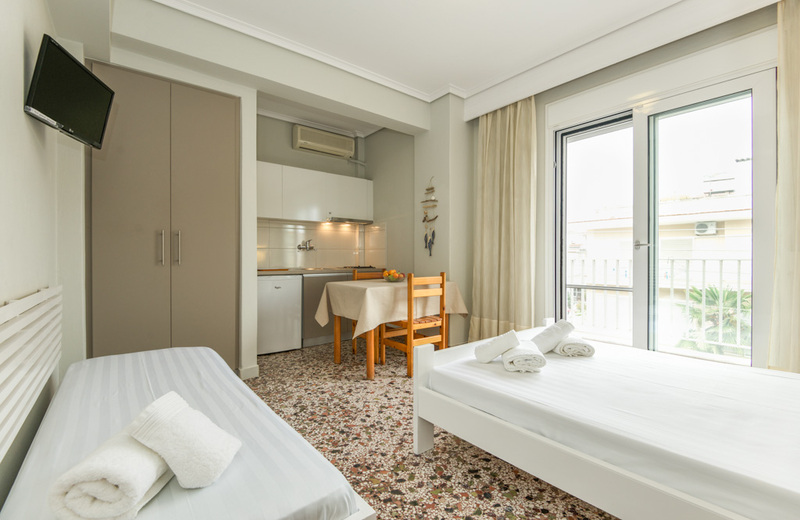 Tastefully decorated, the room is equipped with a flat screen TV, Air-conditioning, a fully equipped kitchenette and refrigerator. 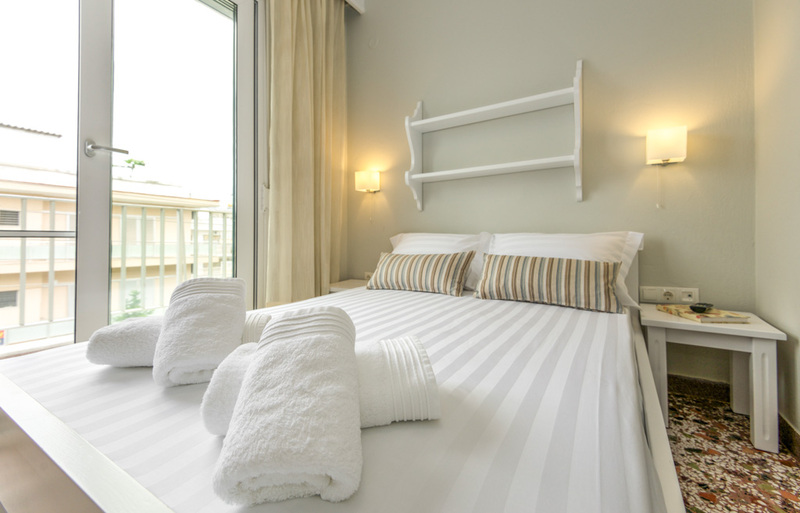 Moreover the room provides a bathroom with shower and access to private balcony with furniture. Towels are included. Cleaning service every three days.